Bake the potatoes in their skins for 1 1/2 hours until soft, then scoop the flesh out into a bowl and mash until fine, season with salt and pepper, allow to cool, then place in the fridge for a further 15 minutes. 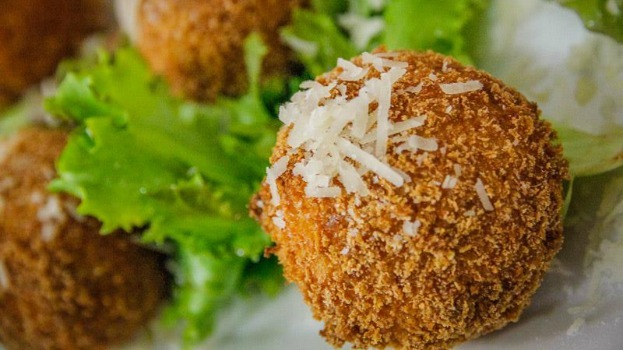 Place the flour on a plate, then roll the potato and cheese ball into the flour, dip it into the egg mix and lastly coat well in the Panko crumbs. 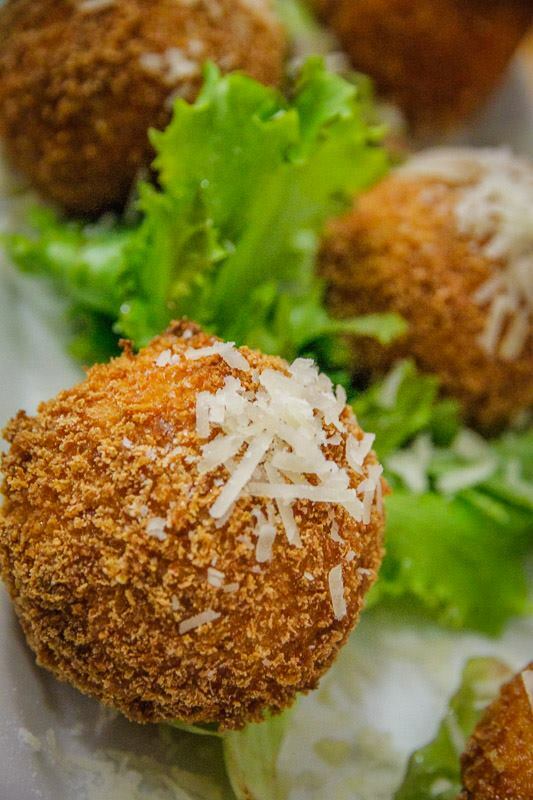 Heat the oil in a heavy based saucepan, when hot, fry the croquettes in batches until crisp and golden brown. carefully remove to a plate and drain on kitchen towel before serving. Serve immediately. Click here to visit Sue-Ann’s website for the full feature! Published with permission from Sue-Ann Allen. Sue-Ann became a household name in 2012 as the runner-up in the 1st season of Masterchef South Africa. Now, Sue-Ann is putting her stamp on the South African food map by hosting a food segment called #FoodInspired on the successful and forward thinking online radio station, Hashtag Radio. She also has a second radio slot #TrueStyle which allows her a platform to advertise for any of her other partner brands. She has made appearances on TV shows such as Top Billing, Expresso and Pasella and she is also the co-author of Gourmet Sisters, the cookbook which won the Gourmand Best First Cookbook SA 2014 award. She is also the co-founder of Soundbites a pop-up dining and music pairing experience which is held monthly in Cape Town. Sue-Ann also runs a Private Chef service in Cape Town, under her Sue-Ann Allen Culinary Management brand, where she cooks for locals and internationals alike. She has cooked for esteemed guests from the USA, UK, France, Australia, Indonesia and Africa. She also freelance consults for restaurants to devise new menu’s and train kitchen staff.